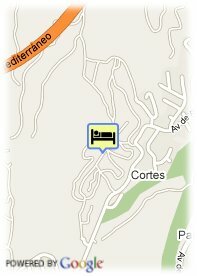 c/ Pinsapo s/n Urbanización Paraíso Alto, 29679 Benahavis, Spanien. Colina del Paraíso is a newly built self catering urbanization set in the enchanting location of El Paraiso, 10 minutes west of Puerto Banus, nestled in the hills offering complete privacy and tranquillity. Within close proximity of the complex are long stretches of beautiful coastline and some of the best beaches in Europe. At a very short driving distance you will find San Pedro de Alcantara, Puerto Banús, Marbella and Estepona. Colina del Paraíso strives to a world of comfort, leisure and relaxation, where you can also enjoy our on site sport facilities like swimming, tennis, practice driving range, paddle tennis and a fully equipped gymnasium. The Costa del Sol is also known as the “Golfers’ Paradise”, as along the coast you have the choice of 86 marvellous Golf Courses, many within a few minutes drive from Colina del Paraiso. kostenlose Parkmöglichkeit, kostenpflichtiger Parkplatz, Kostenlose überdachte Parkplätze beim Hotel, Kostenlose open air Parkplätze beim Hotel. Strand, in den Bergen, Panoramische Aussicht. Mehr als 4 Tage vor Anreise : keine Annulierungkosten. Wenn man die Reservierung nicht benutzt und keine Annulierung macht: Die ersten 7 Nächte sollen gezahlt worden. The clubhouse which is open to resort guests and the general public, boasts a bar and international restaurant serving lunch and dinner and large sunny terraces with breathtaking views.